Visionblue CMS is a software package designed by insolvency experts for use by insolvency professionals. Visionblue CMS is designed to deal with the intricate requirements of all corporate and personal appointments from start to finish. Increase efficiency, reduce costs and gain a competitive advantage by adapting Vision Blue’s complete and proven software. Manage all aspects of your assignment using our Pre Appointment and Post Appointment Modules. Simple and transparent cost model per appointment recoverable from the case as a disbursement, meaning you only pay for cases in which you are formally appointed. Visionblue CMS can be tailored to work for your firm, resulting in increased efficiency and productivity. A full credit history of the debtor can be obtained directly from Visionblue CMS in just a matter of clicks using our credit search functionality. Streamline task completion and manage teams effectively using our Workflow screen, which acts as a central hub in the case management system. We work with SMS providers so that text messages can be sent directly from the system and received into the case file on the system. Email accounts can also be integrated so that client emails can be managed from Visionblue CMS. Increase efficiency using our easy to use bulk tools such as our Fee Calculation Wizard and Bulk Dividend Wizard. Record the details of your firms’ bank account and carry out seamless imports and exports of thousands of receipts and payments to and from your online banking system. Produce fully automated documents and diaries that cover everything from the appointment of the assignment right through to the conclusion of the assignment. Document templates are grouped into packs, saving your firm time and money. Carry out Annual Reviews in a matter of minutes using our Income and Expenditure Wizard. 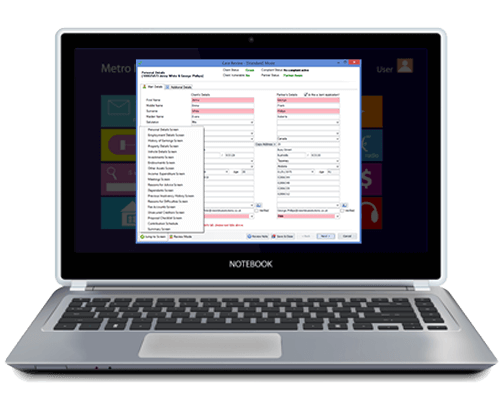 Manage the cash book of each case through the banking module and input batches of receipts or payments using an easy to use import function. How does Visionblue CMS help?